The 2018 New Jersey QSO Party, sponsored by the Burlington County Radio Club K2TD, took place September 15th and 16th, 2018. Contest objectives were to contact as many NJ amateur radio operators in as many NJ counties as possible, and for NJ stations to contact as many amateur radio operators in the US, Canada, and the world as possible using only bands 80, 40, 20, 15, and 10 meters. The gavel for the second consecutive year was awarded to Top Club, Delaware Valley Radio Association! The DVRA would like to extend a special thanks to the Burlington County Radio Club, who have now sponsored the New Jersey QSO Party for the seventh straight year. 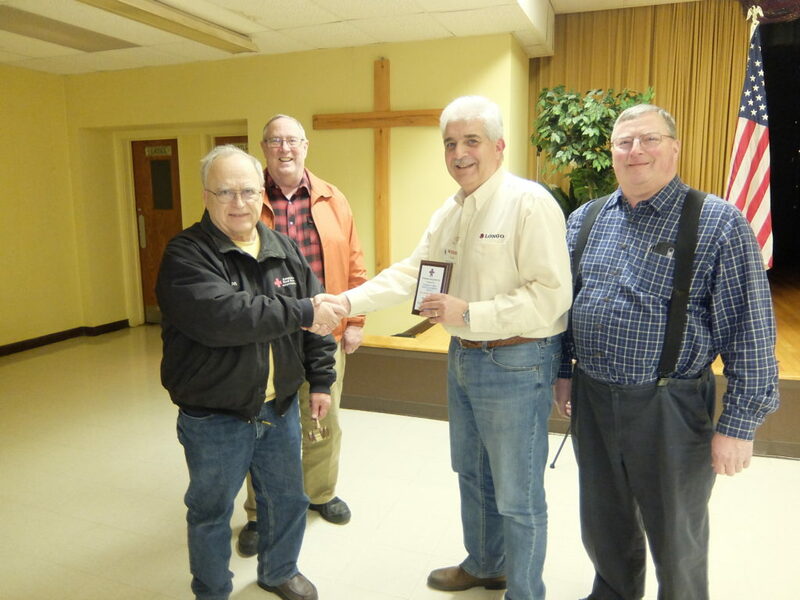 Past President and Trustee Don Corrington AK2S of the Burlington County Radio Club (BCRC) present the gavel for “Top Club” to DVRA President Dom Di Clemente N3DD while BCRC President Lance Weight KC2MTO and Past President and Trustee Jack Gordon WA2RHJ look on.